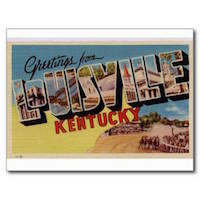 And so the promises begin - "retain a significant corporate presence in Louisville." I'm sure we all dearly hope that to be true, but we also know that costs have to be wrung out of these deals for them to work. Rarely does 1+1=3. So, what's does Humana do for the community that you most hope will be continued? Long term, Humana's future in Louisville will be whatever Aetna determines it will be. Having witnessed varying degrees of this same type of corporate/community drama in other places I have lived, I would be shocked if the same level of corporate citizenship exists here in Louisville two or three years from now. People said similar things when Brown & Williamson Tobacco left, but it seems that others took up the slack. It's interesting that the corporate "citizens" who profited from tobacco and then from working the medical-hospital-pharma complex (not to mention other contributors from the distilling industry) have been among the biggest supporters of the arts and charities. It's not hard to come up with some theories about why it works that way. Actually, we're still suffering in a few areas from the B&W departure. For example, they were big supporters of dance, both sponsoring locals and underwriting guest artists. We've never gotten funding back to the levels that B&W provided. In general, the change in corporate support for the arts in general has been very negative in the past decade - all props to Brown-Forman, Humana and others that continue to be generous. TP Lowe wrote: Actually, we're still suffering in a few areas from the B&W departure. For example, they were big supporters of dance, both sponsoring locals and underwriting guest artists. We've never gotten funding back to the levels that B&W provided. Let me clarify, because certainly I agree with you: Any loss in funding hurts. I'm trying to express the other side of the coin, the reality that this is a generous community and that no single corporate source, no matter how large, is indispensible. We can't afford to get to the point where we rely on a single sponsor who might not always be there. Robin Garr wrote: We can't afford to get to the point where we rely on a single sponsor who might not always be there. I couldn't agree more. This is a remarkably generous community, as shown in several recent campaigns (Speed Museum, James Graham Brown Cancer Center), but reliance on too few of those funders is dangerous. But it is a constant challenge in the nonprofit community to "unearth" the next wave of donors who may not be trained/educated in the need to be philanthropic. Whew. This is a discussion we've probably all had a hundred times! I remain optimistic that Humana's Medicare and Military business units will stay here, and actually grow, but I'm not happy about Louisville losing the notoriety of a Fortune 500 HQ. I'm hoping there's some local entrepreneurial spirit and energy to create something like Wendell Cherry and David Jones did.